Anthony Yoerg (1816 – 1896) came to St. Paul from the little town of Gundelfingen, Bavaria in 1848. 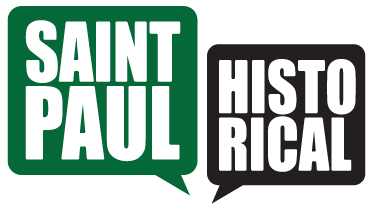 St. Paul was still a village then, and the big German migration to Minnesota was just beginning. He opened the state's first brewery, near where the Science Museum stands today, in 1849. In 1870 the Yoergs moved across the river to the West Side and built a new brewery at the base of the bluff, and dug five caves into the soft sandstone; the caves offered cool and stable temperatures for storage.